Google paid more in European fines than in taxes, according to the firm's fourth-quarter earnings. Parent company Alphabet reported Q4 revenues of 39.28 billion, up 22%, while revenues for the year were up 23% to $136.8 billion. Taxes in Q4 were $4.2 billion. Thanks to a record €4.3 billion ($5 billion) fine against the tech giant for allegedly anti-competitive practices related to Google's Android operating system, placing their fines for the year higher than their income taxes of $4.2 billion, according to Computing. The company also took the time to separate out "European Commission fines" in its consolidated statements of income in the company's accounts. These increased from $2.7bn in 2017 to $5.1bn in 2018, with a further €50m already set to be added to the bill for its first quarter and 2019 accounts, thanks to French data protection authority CNIL. Net income in 2018 rose by 143% from $12.67 billion to $30.74 billion thanks to the US Tax Act of 2017, which depressed net income that year, which had "resulted in additional tax expense of $9.9 billion in the fourth quarter of 2017, primarily due to the one-time transition tax on accumulated foreign subsidiary earnings and deferred tax effects," according to the earnings release. Google's losses on "other bets," defined as "non-Google activities" spiked last year, rising from $2.7 billion to $3.36 billion. Alphabet's non-google business accounted for just $595 million of the company's $136.8 billion in annual revenues. Alphabet warned that changes in data privacy practices, new digital advertising policies and software bugs which harvest user information could harm its business going forward, according to Bloomberg. "Changes to our data privacy practices, as well as changes to third-party advertising policies or practices may affect the type of ads and/or manner of advertising that we are able to provide which could have an adverse effect on our business,” the company wrote in the filing. “If we do not provide superior value or deliver advertisements efficiently and competitively, our reputation could be affected, we could see a decrease in revenue from advertisers and/or experience other adverse effects to our business." 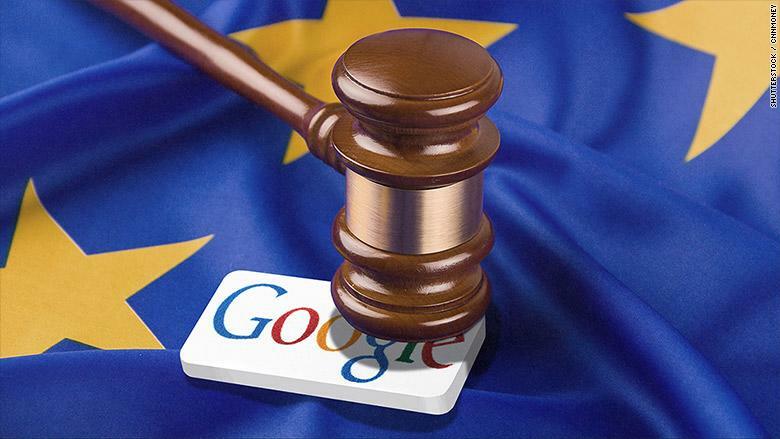 To date, Google has mostly faced fines in Europe that it has been able to pay with its massive cash hoard, but some privacy advocates and those concerned with the company’s sheer size are pushing for harsher policies. Alphabet also added new language about software errors: "Bugs or defects in our products and services have occurred and may occur in the future, or our security measures could be breached, resulting in the improper use and/or disclosure of user data," reads the warning. Google decided to shut down its floundering Google Plus social network after they found a software glitch that could have exposed the personal data of up to 500,000 users. Also added to the earnings release was a note warning that their expansion into non-advertising business models such as consumer hardware and cloud services may not pan out. "Due to these factors and the evolving nature of our business, our historical revenue growth rate and historical operating margin may not be indicative of our future performance."